Policy Notice. 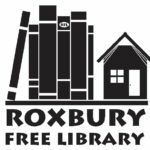 On May 8th 2018 the Roxbury Free Library board adopted an amendment to change section 8.E of the board’s bylaws. According to process set out in 24 V.S.A. § 1971, the amendment approved by the board is posted below for public review. 8.E A simple majority of the Trustees currently holding office shall constitute a quorum for conducting all business. If a quorum is not present at a regular meeting, the attending Trustees may set a date for another meeting to be held within two weeks, and the Chairperson shall notify the absent Trustees of this specially called meeting.